SparkleTeam prides itself on offering the most responsive, professional and reliable Customer Service support and Quality Management for business cleaning services in the industry. Prior to the start of service, SparkleTeam Quality Management will work with you to specify your cleaning and building maintenance requirements. Quality Management then conducts monthly inspections to ensure that your property is being maintained and cleaned accordingly. 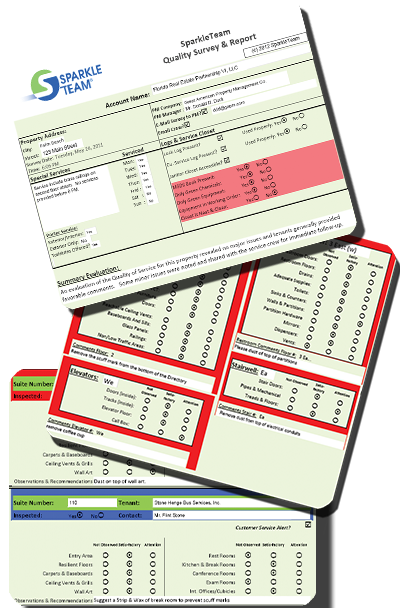 We also offer you the option to periodically survey tenants to ensure satisfaction of every occupant. Industry leading Site Survey Reports (as shown on right) are created utilizing SparkleTeam’s proprietary quality management software. 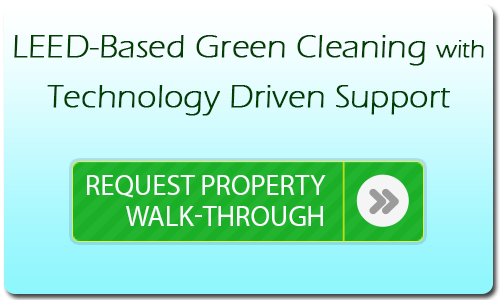 Site Survey Reports are automatically generated on-site and immediately sent to the Property Manager, SparkleTeam Customer Service and the Service Provider for follow up. How does this benefit you? By having “eyes and ears” on the property along with a detailed analysis which you can share with others at the click of a button. In addition to monthly site surveys that are conducted by Quality Management, a Service Coordinator is available electronically or by phone to address any concerns in-between the site surveys. The Service Coordinator is the liaison between the Property Manager, tenant and the SparkleTeam Service Provider to ensure clear and concise communication between all parties for fast and efficient service. The image on the left shows the flow of communication beginning with the property inspection conducted by Quality Management. 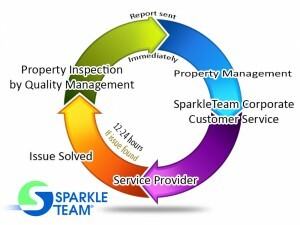 Once the inspection is complete and Quality Management is still on-site, the report is immediately e-mailed to Property Management, SparkleTeam Customer Service and the Service Provider. If any issues are found, they are addressed within 12-24 hours allowing issues to be resolved before they escalate.